Eagles running back Darren Sproles ability to make plays in space makes the Eagles an exciting offense. Photo by Webster Riddick. PHILADELPHIA –With the Phillies playing out a bad season, sports fans in the City of Brotherly Love are now focused on the only team that has a chance to have a winning season and make a run to the postseason. As Philadelphia Eagles training camp approaches, fans have a lot to be excited about and also a lot of reasons to be concerned. The Birds situation is arguably better than that of the city’s other three teams because despite all of the changes, there’s some light at the end of the tunnel. One thing that Eagles fans have to feel good about is that DeMarco Murray, the NFL’s leading rusher last season, will be their starting running back. They will also have good change of pace backs in Ryan Matthews and Darren Sproles. But that doesn’t mean that there aren’t still a whole lot of question marks on the offense. After cutting offensive linemen Evan Mathis and Todd Herremans, the Birds are hoping that Allen Barbre (6-4, 310 pounds), likely the new left guard, and Matt Tobin (6-6, 290), whose expected to win the starting job at right guard, will be upgrades at these positions. The team also signed John Moffitt (6-4, 319) last month. Moffitt, who took a year away from football to deal with substance abuse issues, gives Eagles some much need depth along the offensive line in case someone gets hurt. The way things have gone for the Eagles in terms of injuries last year that might be important. Dennis Kelly (6-8, 321), Andrew Gardner (6-6, 308) and Kevin Graf (6-6, 309) also have to be ready to go are among the guys that need to be ready even if you have injuries to the starters. Having a solid offensive line is crucial because the Eagles have to protect starting quarterback Sam Bradford, who hasn’t played a full season since 2012. If he can survive the season, fans will definitely be optimistic. But if Bradford gets hurt, can head coach Chip Kelly or the fan base stomach the idea of the mistake-prone Mark Sanchez running the Eagles offense for a sustained period of time? Among the Eagles wide receiver corps, will second-year wide receiver Jordan Matthews become the go-to-guy in the passing game? Will rookie Nelson Agholor, with his 4.4 speed, be able to find his way on the field and be an important part of the Eagles passing game? It’ll be interesting to see what happens. On defense, the Eagles will have a solid front-seven that includes linebackers DeMeco Ryans and newly acquired inside linebacker Kiko Alonso. This could also be a breakout season for defensive end Fletcher Cox, who is coming off a 2014 season in which he had a career-high in tackles with 70 (59 solo) and four sacks. The sticking point for the Eagles defense coming into the 2015 season is the secondary, which got torched quite often late in the season. The inability of the Birds secondary to keep opposing receivers from piling up yards and lighting up the scoreboard kept them out of the playoffs despite a 10-6 record. The Eagles ranked 31st in net passing yards per game in 2014 and the most touchdowns of 20 yards or more and the only holdover from that unit is safety Malcolm Jenkins. The Birds got former Seattle Seahawks cornerback Byron Maxwell, who played well during the Seahawks’ Super Bowl run. But there’s uncertainty about Nolan Carroll and Eric Rowe, the other two guys vying for cornerback spots. Carroll is a pro that couldn’t get much playing time in the other places he’s played and Rowe is a second-round draft pick who hasn’t played a down as a pro. Meanwhile at the other safety spot, Kelly is counting on former Seahawks cornerback Walter Thurmond. Thurmond is a converted cornerback who has never played at the safety spot and has been injury-prone throughout his five-year career. If the Eagles fail to shore up this part of their defense, New York Giants receiver Odell Beckham, Washington Redskins receiver DeSean Jackson and Dallas Cowboys receiver Dez Bryant could be licking their chops. 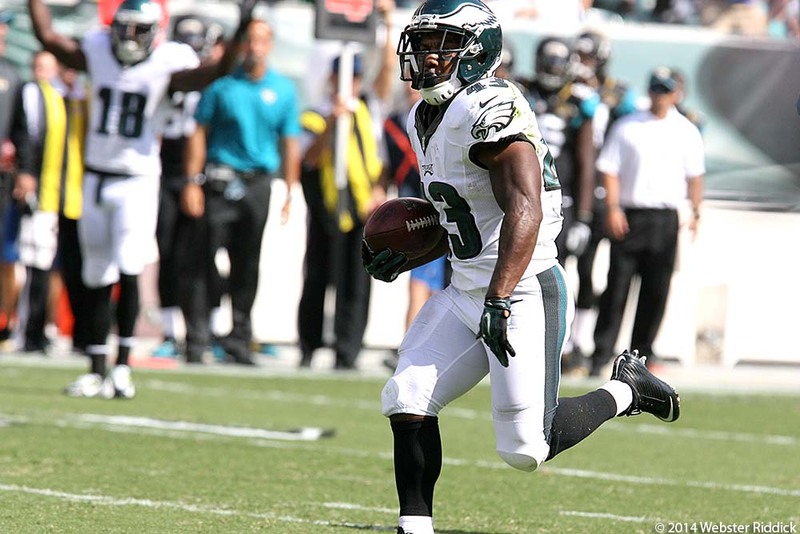 ← Eagles Training Camp 2015: Who Will be the Birds Next Go-to Receiver?